The two neighborhoods next to Grays Ferry have seen dramatic increases in the cost of housing lately and in the number of restaurants and amenities opening in the area. The average listing price of a house in nearby Graduate Hospital, also called Southwest Center City, is now over $500,000. 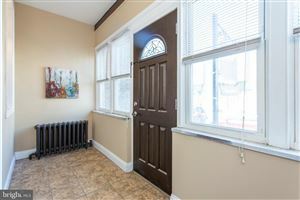 The average listing price in Point Breeze is $261,941. Compare that to the average listing price in neighboring Grays Ferry, which is $124,815. The neighborhood has been dubbed the “next hottest neighborhood” by the Metro, because of recent and ongoing developments in the area. One of the more exciting developments in the area was the creation of the Grays Ferry Crescent, a park area and trail along the Schuylkill River. Along with giving residents a place to relax outdoors, the Crescent is also the site of free, outdoor movie nights in the summer.